The author presents glimpses into the background, training, and motivation of some of those on the final mission. This really drew me into the book and made me want to keep reading. 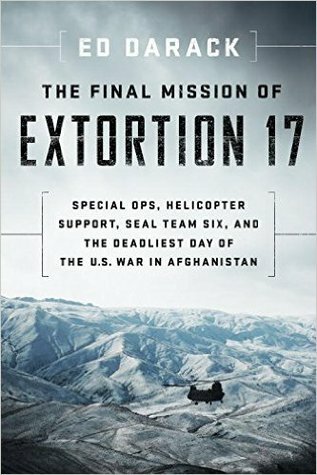 The book covers not only the final mission of Extortion 17, but also some of the lead-up to the mission. The author explains the many military acronyms in a straightforward way that helped me grasp their importance to the narrative, if not their full importance in the wider military setting. A list of abbreviations and acronyms is provided. Photos and maps accompany the chapters. The Sources section briefly describes how the information for each chapter was obtained. I highly recommend this book to anyone interested in military aviation, recent history, and modern military. I was provided with an uncorrected proof of this book in exchange for an honest review. Thank you to Smithsonian Books. 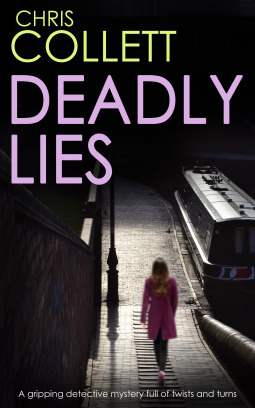 DI Tom Mariner investigates the death of investigative reporter Eddie Barham, an apparent suicide – except it’s not suicide. PC Tony Knox assists with the investigation. Witness to the death is Jamie, severely autistic, also sibling to Anna and the deceased. Anna Barham, sister of the victim, takes on the care of Jamie while trying to find why her brother was murdered. Overall impression: The premise drew me in, and I enjoyed the twists and turns as the investigation progressed. The pace increases dramatically toward the conclusion. The premise: the only one who could say what happened…can’t say what happened. The Brocken Spectre (you’ll have to read the book to see how it applies). Good opening sentence: the who and the what are identified, but not the back story which would have bogged down the opening. Short chapters. New info, red herrings, changes of perspective are all moved along very well in chapters that are quickly read. Also, the chapter endings are good: they made me want to turn the page right away and get to the next part. Is this story a treatise on autism and medication, or a mystery? Difficult to tell. It’s labeled mystery. DI Mariner jumps to conclusions. How does a newspaper story that is “personal” to its author bend itself in Mariner’s mind to be about “personal services”? The story reads like it was hastily abridged: answers are sometimes announced before the evidence is introduced. Anna’s brother Eddie took care of Jamie for years. When Anna assumes care of Jamie, she starts from scratch learning his favorite foods, etc. Why didn’t she just check Eddie’s cupboards to see what he stocked for Jamie? Too much detail that doesn’t relate to the story. While the detail does establish the characters’ experience and mindset, the reader doesn’t need that much detail to get the picture. Thank you to Joffe Books and NetGalley for an Advanced Reader Copy of this book in exchange for an honest review. And then he attempts to flatten his cowlick. Junior, 14 years old and living on a reservation, attends an all-white school in a neighboring town. I howled with laughter at the cartoons. This is a quick read. For me, the cartoons tell the story and the words fill in the gaps. The cartoons bumped my rating from 4 to 5 stars. Employing wit and imagination, Alexie touches on bullying, racism, poverty, etc. – without belaboring it. The point isn’t to immerse the reader in the problems, but to follow Junior through them to his next challenge. 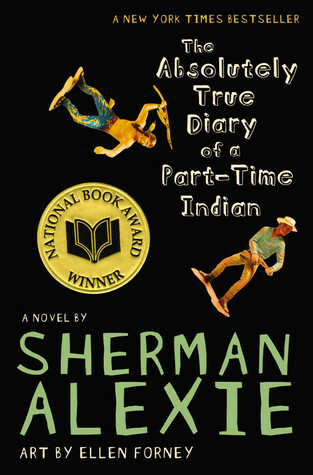 This is the only Alexie book I have read, and probably the only one I will read. But I will almost certainly read this one several times. If you like this book, you may also enjoy Angela’s Ashes by Frank McCourt and Rez Road Follies by Jim Northrup. Atone for your errors and misdeeds. Use your brain and your talents to make of yourself something you like and respect, no matter what your circumstances are. Although the story takes a winding route to get there, the messages get through. IQ (Isaiah Quintabe) takes on cases in high crime areas that would otherwise go unhandled: abuse of children, kidnapping, etc. He is intelligent, quiet, thoughtful, perceptive…a likeable protagonist. Some of his clients are less likeable – mostly the ones who have the money to pay the bills. The moniker IQ, short for Isaiah Quintabe. The dialogue is less than believable. IQ makes for an interesting, unusual character, one with the potential to improve with each successive book if this becomes a series. Thank you to Mulholland Books and NetGalley for an Advanced Reader Copy of this book in exchange for an honest review. An inchworm is a fascinating critter to observe, as I recently discovered. Despite only moving millimeters at a time, an inchworm can really get around quickly. The one I was watching was apparently seeking sustenance – but having little success, it appeared. S/he would make its steady way up to a pine needle, nibble on it, and push it away. The hapless inchworm sometimes found itself upside down, looking remarkably like a puppy battling a particularly tough blade of grass. A brief struggle to right itself, then on to the next tidbit: a bit of seed or bark or perhaps moss. Most items fared the same as the pine needles: thrust aside, sometimes spit out, discarded in favor of the next bite. Ah, the endless interest to be found in watching the littlest beings among us!